ChelseaSEO is here to help local businesses and contractors to get more exposure online, whether you own a stall in Strutton Ground Market, a clothing store in Cardinal Place, a jewellery shop in the near Oxford Street or offer services to residents of Westminster. As Google put more focus on local search, it’s your time to act and build the best strategy as the neighbourhood needs to find you. There are thousands of tourists coming each month to see the local attractions, they stay at local hotels and eat at the nearest restaurants. Additionally more than 240.000 potential customers live in the Borough of Westminster. These people search Google for local services, shops and businesses, when your website isn’t showing in the map area or among the top results, you lose these customers. Does your company’s name pop up first if you search your services or products on Google? It should! We can make it happen! What is Local SEO in Westminster? SEO is the process of doing on-site modifications and off-site techniques to improve search engine rankings. This helps to increase the number of online visitors, brings more sales or leads. 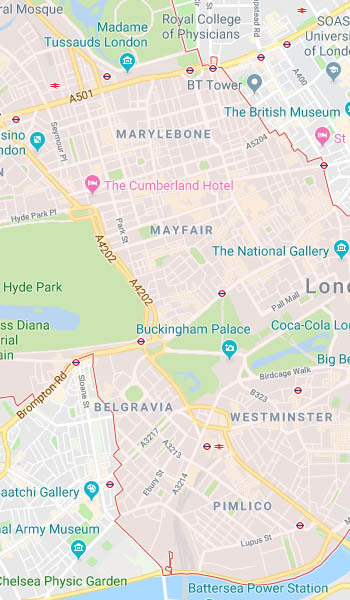 Local SEO is the same, but focusing to your local area, such as Westminster or smaller regions like Marylebone, Mayfair, Soho, Pimlico, Victoria, Belgravia, Bayswater, Paddington, Lisson Grove, Kensal Town, West Kilburn, Maida Hill and so on. For instance, if you are a local florist, ideally when somebody searches Google for “flower shops near me in Westminster” finds your website. Our London SEO company will work hard on your website to bring more traffic, qualified leads and better online exposure. That’s how we can help you! How We Make a Prosperous Local SEO Campaign? There’s no easy and simple approach when it comes to local SEO, every business’ needs are different. Whether you’re a lawyer, an optician or own a bridal salon in Westminster, we can boost your business’ online presence and help you dominate your market. We won’t stop with Google, our goal is to make your business appear high on other search engines too like Yahoo or Bing. SEO can be difficult as if you don’t have competence, premium paid tools like Semrush, Moz Pro or Ahrefs, you can’t effectively work on it. That’s where our agency comes in! A strategically-planned approach is important for any business that wants to be successful in the online world. Our first priority is to secure a spot in the top results of the “local map pack”. Being one of these listings gets you a lot more visibility and natural traffic. 1. Start with an in-depth website analysis or develop a brand new using WordPress CMS if you haven’t got yet. We analyse your target customers, your business type, etc. 2. Fix existing website errors, do a mobile friendly test, and apply SEO techniques like locally optimised title tags, header tags, meta descriptions, optimised URLs, image size reduction + ALT tags, sitemap creation, Google Search Console + Analytics registration, etc. 3. Setting up Schema Markup as it tells search engines to display information in the result pages such as type of business, ratings, hours of operation, prices, and more. 4. We make your website load faster. Site speed is crucial as Google has already announced that loading speed is one of their ranking factor. Additionally no one likes to wait, if the website’s loading time is slow, the customers might leave. 5. Keyword research is a critical part of your camping, we are seeking keywords that have enough search volume, lower competition rate and are highly targeted to Westminster. First, we are focusing to locals, as in the very competitive market of London, it will likely take at least nine months or more to show up on the first page of Google. 6. According to the keyword research, we create highly targeted and specific content in your niche with focusing to Westminster. These are relevant, unique, and insightful articles about your business. 7. We spy on your competitors. Discovering how your competitors working and their strategy. Analysing their content, topics, citations, backlink profile, social accounts, etc. to make our approach better. 8. We build local citations, register / optimise Google My Business, Bing Places, Yahoo Small Business, Yellow Pages, Yelp, etc. 9. Start a local outreach campaign (blogs, magazines, press releases, niche sites, local directories, etc.) to get extra exposure. 10. Social media is great, as it offers big influence and immediately result on local visibility. We keep your profiles updated and active across the major platforms like Instagram, Twitter, Facebook, etc. Our experts will move up your website’s ranking in search engines for more visibility, leads and sales. It doesn’t matter if you are a gas engineer, an estate agent or own a beauty salon, we can help you achieve your dreams! Find out more about our best SEO packages, and let’s get started!